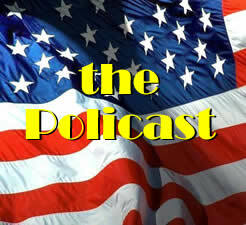 The Return of The Policast! Create an accessible voter education resource. Particularly for our students, alumni, and colleagues but not limited to the Bethel community. Chris and Stacey are both fantastic at talking about the kinds of complex issues that political scientists investigate, but at a level that us amateurs can understand. And, just as importantly, they’re able to do it as non-partisan observers. We’re not espousing any political positions or endorsing candidates on this show; we are trying to help voters from across the spectrum make sense of processes and policies that are anything but easy to understand. This spring we expect to release episodes occasionally (no more than once every two weeks) and focus less on recapping events of recent days than on larger themes: foreign and domestic policy debates, the role of money in political campaigns, and the changing nature of media, to name but a few that have come to mind already. For our first episode, we’re looking at the system of primaries and caucuses that American political parties now use to determine their presidential nominees. Chris, Sam, and I talk about the evolution of that system, alternatives to it around the world, its strengths and weaknesses, and the kinds of candidates (and, therefore, presidents) it tends to favor or produce. There’s also a brief interview with one of the many Bethel students who took part in Minnesota’s recent caucus meetings. As we release new episodes, I’ll post brief announcements at this blog and our History Department blog, AC 2nd (where this announcement is being cross-posted today). Hooray! I don’t know that I had the pleasure of knowing Mr. Mulberry during my tenure at BU, but if he regularly listens to Tony Kornheiser’s radio show, he must be good people.